Eurosport has signed up tyre brand Bridgestone as its exclusive Olympic Winter Games sponsor, giving the brand exposure across the sports network's TV, digital and social platforms. Bridgestone is already a worldwide official partner of the Olympic Winter Games, which take place next year in Pyeongchang in South Korea. 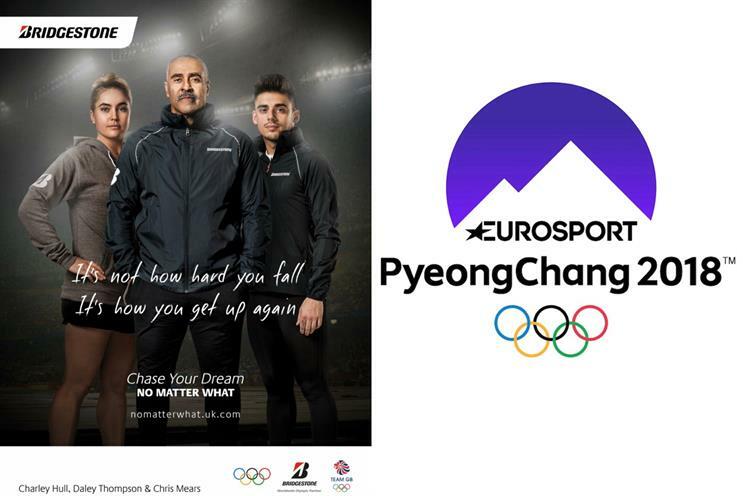 The company will use its "presenting partner" association with Eurosport to reinforce its "Chase your dream, no matter what" campaign, which launches this month and will include TV spots on Eurosport and branded promos appearing on its The Hall of Fame programme. Eurosport is a presenting partner for Pyeongchang 2018 and will be airing coverage across TV, on-demand, social media and other digital channels. As part of this latest deal, Bridgestone is sponsoring Eurosport's "Home of the Olympics" section, PyeongChang news and results pages on the Eurosport website and mobile apps, and social content around daily Games results. Bridgestone is also sponsoring Eurosport's coverage of the Alpine Skiing World Cup and the Ski Jumping World Cup. In France, where Eurosport will become the official Olympic Games broadcaster for Beijing 2022 and Paris 2024, a bespoke ad campaign has been created that celebrates Bridgestone's connection to the Olympics. Jonathan Davies, managing director, advertiser partnerships, Discovery Networks International and Eurosport, said: "Eurosport is bringing innovation to Olympic Games storytelling. Every moment from this spectacular global event will be covered by Eurosport, Eurosport Player and Eurosport.com taking fans closer than ever to all the action." Can PyeongChang pull off its closing ceremony after a 'flavourless' opening? Channel 4 "meet the superhumans"